The Aprilaire 500 humidifier can humidify a tightly-constructed home of up to 3,000 square feet. The digital humidistat automatically adjusts the humidity level as the outside temperature changes. Add the new Aprilaire 4792 Annual Maintenance Kit to your order! This convenient kit gives you all the parts you need to maintain your Aprilaire 500 humidifier each year and keep it running in like-new factory condition. 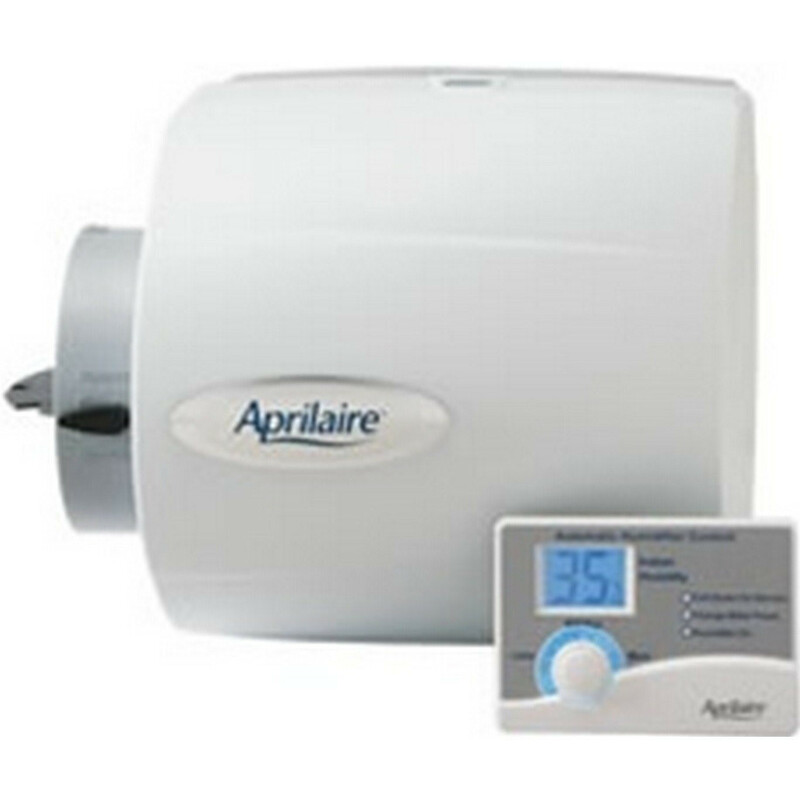 The Aprilaire 500 Humidifier is the best bypass humidifier for small to mid-sized homes, and the model 500 features the new #60 updated digital, automatic humidity control and includes a built-in bypass damper and a drain to flush minerals from the unit. The bypass damper is conveniently labeled for winter and summer settings. This humidifier comes complete with the new Aprilaire digital humidity control, one Aprilaire water panel, outdoor temperature sensor, saddle valve, 24V transformer and installation instructions from Aprilaire! Humidifier works great but I had a concern about the water panel and sent them an E-Mail several times but no response. Guess they really appreciate my buisness. Otherwise would be 5 stars. First time buyer. i liked how easy it was to find what i was looking for ,plus liked the price.